Discover the root cause for your aches and pains when you turn to All Out Fitness for physical therapy in Ann Arbor, Michigan. Your coach is a professional that has many years of experience in rehabilitation.iscover the root cause for your aches and pains with our physical therapy from All Out Fitness in Ann Arbor, Michigan. Your coach is a professional that has many years of experience in rehabilitation. Learn how to heal your body, fix your back, and relieve knee pain with our rehabilitation program. We focus on your body as a whole, including your sleep patterns, eating, muscle weakness, and health issues. Our coaches work hard to find the root cause; for example, your knee issues could be caused by it being out of place. We use our body alignment assessment to find out why you have pain in that area and develop a physical therapy program to alleviate the pain by stretching, working the problem area. Massage therapy can help you to attain balance in your life. Our approach to treatment focuses not only on achieving postural symmetry and balance but also to allow you to refocus your energy to attain balance in all aspects of your life. A deep tissue massage can not only help to alleviate the physical pain and stresses that we feel as a result of our lifestyles but also gain a better sense of peace, relaxation, and emotional calm. Many benefits of our massage services have been known for ages, and they have been proven in research studies. But besides all of the health benefits, receiving a massage feels good! Massage provides a release, a calming environment, a serene sanctuary from the world of constant noise and motion. Massage provides a reprieve from the daily jostling we receive out in the daily bustle of life. 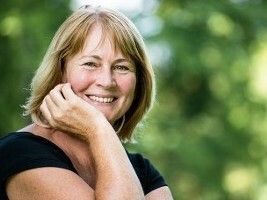 Our massage rehabilitation program will help you to promote relaxation, restore health and balance to the body, and increase the range of motion through a variety of techniques best suited to address specific muscular dysfunction..
Because it’s good for you. Massage can help relieve tension in muscles and work out tender spots from hours of overuse. When these areas are relieved, it allows your body to return to balance. Many jobs require hours of sitting and repetitive motions. The daily ritual of sitting causes tension in your arms, back and neck, which can build up causing an increasing issue that builds up over time. Massage therapy, on a regular basis, can help to counteract this problem. The touch you receive during deep tissue massage causes your body to release chemicals that lower your blood pressure, reduce stress, decrease pulse rate, reduce anxiety as well as fatigue. Because of all of this, massage is shown to alleviate chronic pain such as is common in the lower back. Book an Appointment today! 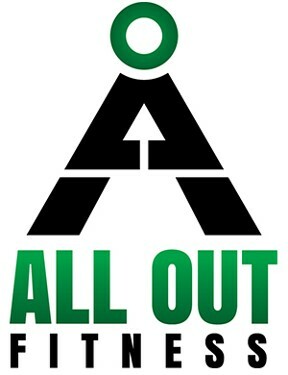 All Out Fitness offers multiple modalities of Massage Therapy and is by appointment only. Call (734) 622-0878 or Click HERE to book online! *Cancellation Policy: You must cancel at least 24 hours before your appointment in order to receive a full refund. Athletes often seek massage as a recovery tool from working out. Heavy muscle breakdown can only be repaired by blood flow. Physical therapy and massages increase blood flow to all areas of the body by means of repeated compression. Repairing the muscle sooner allows athletes to return to top performance sooner. Trigger points are sore, painful spots that occur in a muscle. Most people refer to trigger points as knots. They are called trigger points because they "trigger" a painful response that often refers pain to different parts of your body. Trigger Point Massage uses concentrations of finger pressure on each trigger point to prevent cycles of muscle pain and spasms, which is helpful after a fitness class. Trigger Point Massage provides benefits after just one session. Prenatal Massage is a nurturing massage that focuses on the special needs of mothers-to-be during pregnancy. Positioning, pillows and cushions are used to enhance support, decrease pressure and increase relaxation for both body and mind. Mother and baby share in the benefits as stress and tension melt away, leaving you feeling balanced and energized. Relief of stress on feet, ankles, low back and neck, as well as reducing swelling, are all benefits of a Prenatal Massage. At Hand and Stone, prenatal massage is only performed after the first trimester. It is advised that you consult with your doctor to see if prenatal massage is right for you. Additional restrictions may apply. Myofascial Release Massage is a soft tissue therapy for the treatment of skeletal muscle immobility and pain. The therapist applies gentle pressure into the direction of the restriction by following the motion of the tissue, barrier after barrier, with sustained pressure that supports the release, which is helpful with our rehabilitation program. This process relieves restrictions throughout the body, promoting strength, flexibility, a full range of motion, aligned posture, and fluid movement.